There are three distinct kinds of dataset interfaces for different types of datasets. The simplest one is the interface for sample images, which is described below in the Sample images section. The dataset generation functions and the svmlight loader share a simplistic interface, returning a tuple (X, y) consisting of a n_samples * n_features numpy array X and an array of length n_samples containing the targets y. The toy datasets as well as the ‘real world’ datasets and the datasets fetched from mldata.org have more sophisticated structure. These functions return a dictionary-like object holding at least two items: an array of shape n_samples * n_features with key data (except for 20newsgroups) and a numpy array of length n_samples, containing the target values, with key target. The datasets also contain a description in DESCR and some contain feature_names and target_names. See the dataset descriptions below for details. load_boston() Load and return the boston house-prices dataset (regression). load_iris() Load and return the iris dataset (classification). load_diabetes() Load and return the diabetes dataset (regression). load_digits([n_class]) Load and return the digits dataset (classification). 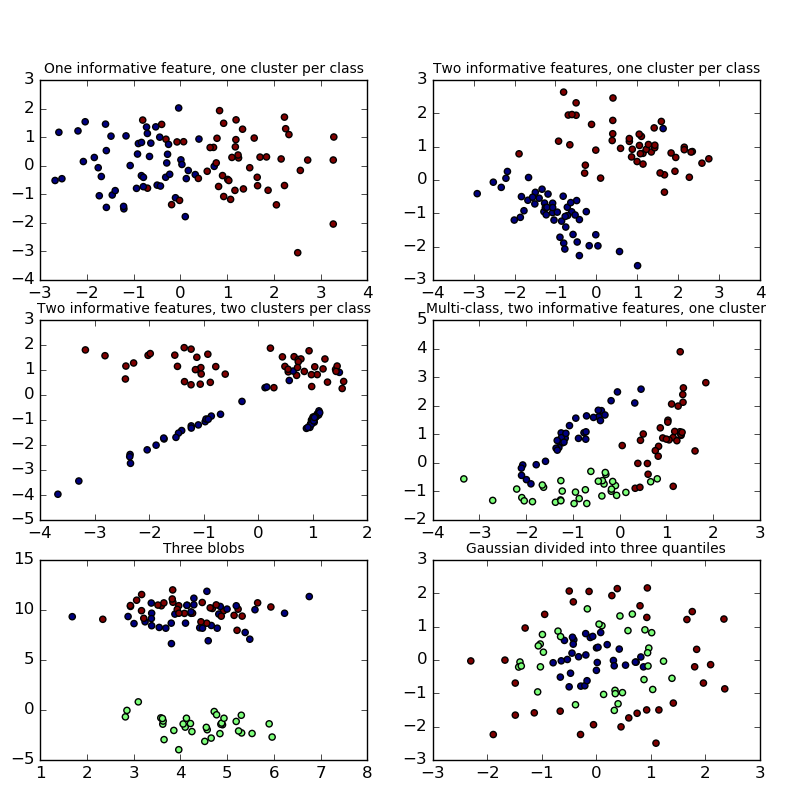 load_linnerud() Load and return the linnerud dataset (multivariate regression). 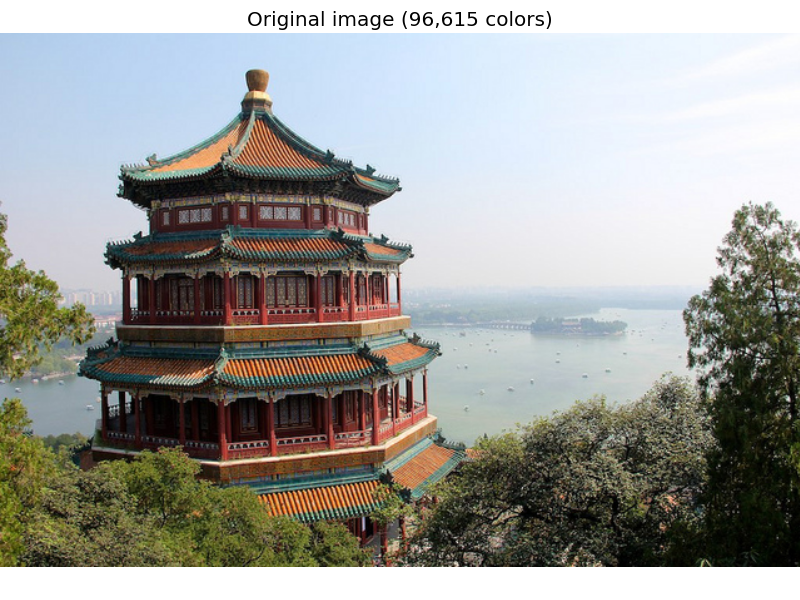 The scikit also embed a couple of sample JPEG images published under Creative Commons license by their authors. Those image can be useful to test algorithms and pipeline on 2D data. The default coding of images is based on the uint8 dtype to spare memory. Often machine learning algorithms work best if the input is converted to a floating point representation first. 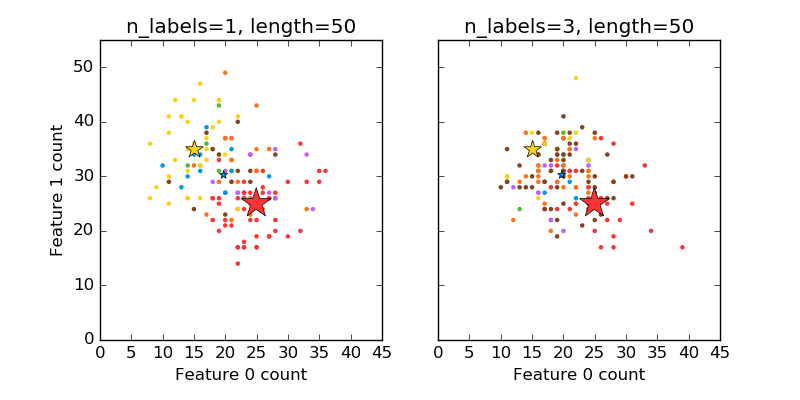 Also, if you plan to use pylab.imshow don’t forget to scale to the range 0 - 1 as done in the following example. make_biclusters(shape, n_clusters[, noise, ...]) Generate an array with constant block diagonal structure for biclustering. make_checkerboard(shape, n_clusters[, ...]) Generate an array with block checkerboard structure for biclustering. make_sparse_coded_signal(n_samples, ...[, ...]) Generate a signal as a sparse combination of dictionary elements. make_sparse_spd_matrix([dim, alpha, ...]) Generate a sparse symmetric definite positive matrix. This dataset contains a set of face images taken between April 1992 and April 1994 at AT&T Laboratories Cambridge. The website describing the original dataset is now defunct, but archived copies can be accessed through the Internet Archive’s Wayback Machine. The sklearn.datasets.fetch_olivetti_faces function is the data fetching / caching function that downloads the data archive from AT&T. sklearn.datasets.fetch_20newsgroups_vectorized is a function which returns ready-to-use tfidf features instead of file names. mldata.org is a public repository for machine learning data, supported by the PASCAL network . scikit-learn provides two loaders that will automatically download, cache, parse the metadata files, decode the jpeg and convert the interesting slices into memmaped numpy arrays. This dataset size is more than 200 MB. The first load typically takes more than a couple of minutes to fully decode the relevant part of the JPEG files into numpy arrays. If the dataset has been loaded once, the following times the loading times less than 200ms by using a memmaped version memoized on the disk in the ~/scikit_learn_data/lfw_home/ folder using joblib.